The first idea revolved around changing color only. The Blob would use specific tiles to change its color and would get some properties associated with that color. Red would be immune to fire, blue could swim, green could jump high. I kept that concept, but expanded on it. 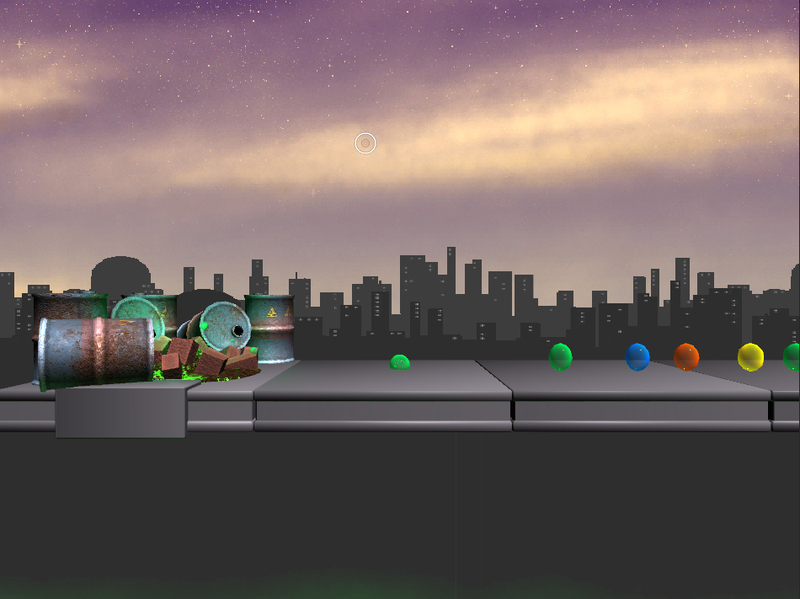 I first introduced pickups, small bubbles of different colors that would not only give the player their color, but also make him grow. Bigger Blobs can jump higher, smaller Blobs can fit into tight places. 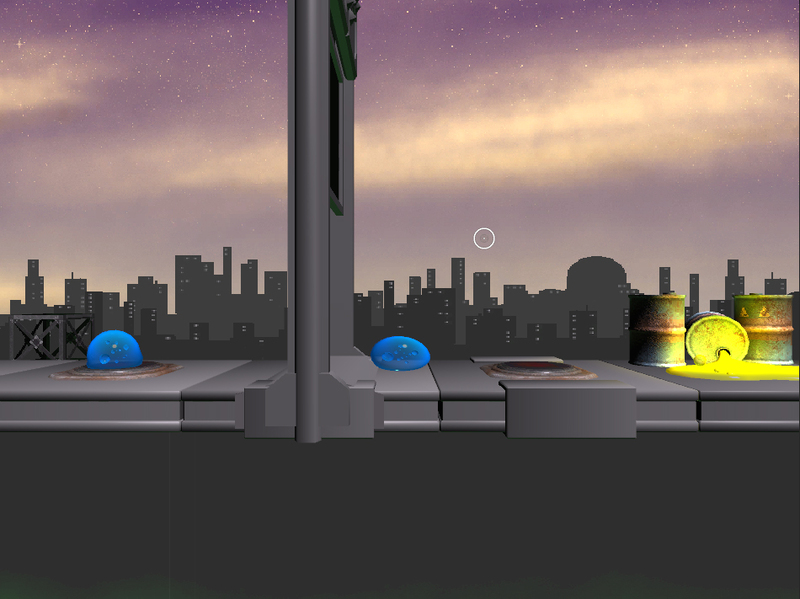 When the player hits an obstacle, he would lose health and shrink again, ejecting the collected bubbles. The player can also eject bubbles at will, either one by one in the direction of the cursor, or all at once in random directions, mainly that he can shrink if he has to. The aimed bubbles will later also be used to operate switches. A friend then gave me the idea of being able to split the blob into two smaller ones, and I immediately implemented that idea. It will give me the opportunity to create more complex puzzles and it’s a nifty feature in any case. One example would be for one Blob to open a door so the other one can get to the other side. 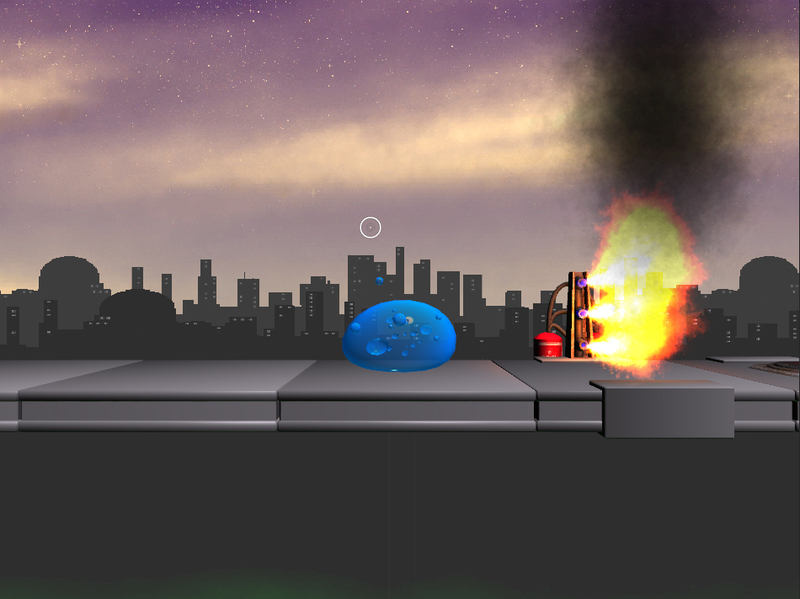 The Blob that is currently not controlled by the player will absorb bubbles shot at him, so the player can change its properties and size remotely, if he needs to. As long as the Blob is divided, both of them can only grow half the maximum size. When they recombine, their health will be added together. 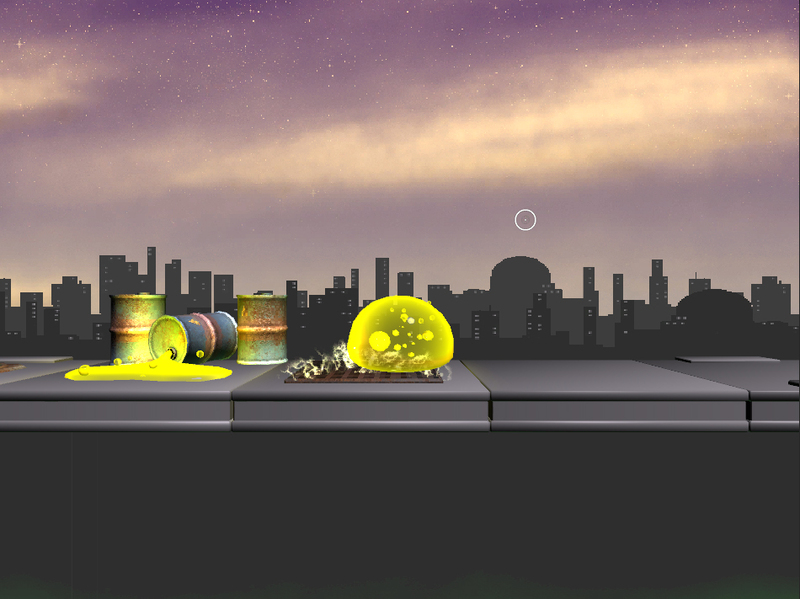 When one of the Blobs dies, the other can again grow to full size by collecting more bubbles. Currently I am in the process of texturing the models I already created for the game. More models will follow and then it will be time for my favorite subject: leveldesign. Void() is still waiting for me to start creating some levels. And here is one last, completely random screenshot from the current state of the game, showing a yellow Blob standing in a lightning trap, because he is immune to it. The barrels spilling the yellow gunk function just like the bubble, they color the player, but they also give him full health and don’t disappear.